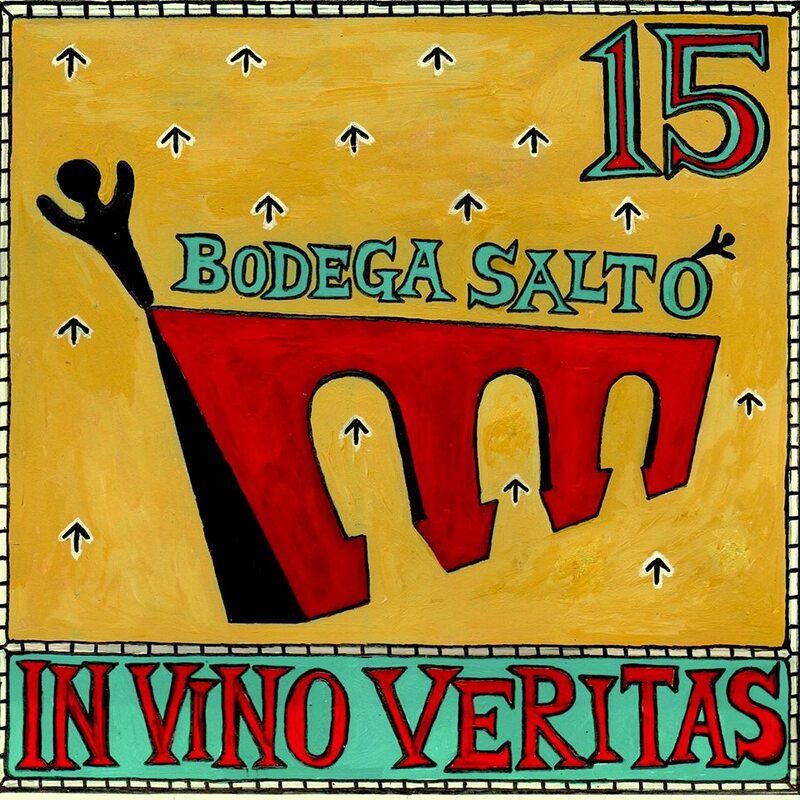 GRAN BODEGA SALTO is an authentic restaurant. You will be surprised by its bohemian ambiance, which yet makes the place unique. You might, as well, find the decor a bit extravagant, but after all of it is what makes the charm of the place. For over a century, this Bodega is a very unique place, here in Barcelona. Thanks to two locals Lidia and José Luis, along with their friends, this old wine cellar instantly became the paradise of the boho inhabitants in Barcelona. Hence, it is the perfect place to party, have nice drinks and enjoy a good time with your friends. 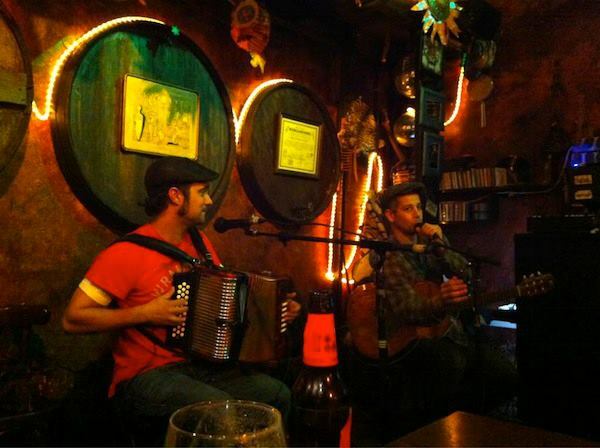 Good Music: None other than guitarist Madjid Fahem (guitarist of band la Ventura, and Manu Chao) along side with accordionist Joan Garriga. You can listen to traditional Spanish music. To make it short, you should definitely check this restaurant to live a unique experience. Place: Gran Bodega Salto located in the vibrant district of Poble Sec. 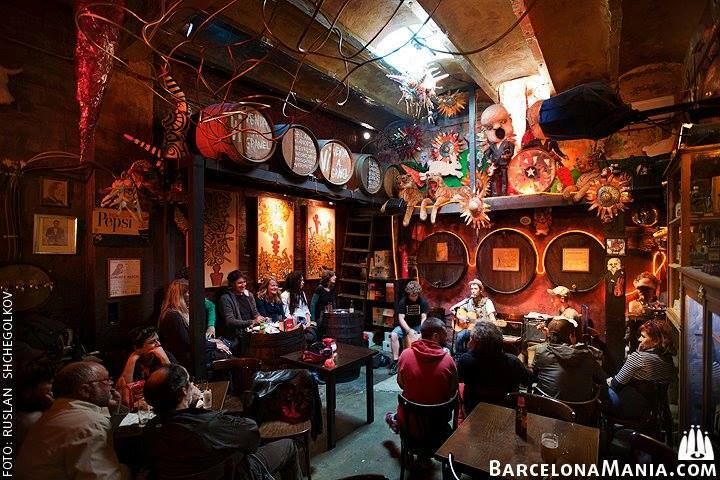 In fact, it is one of the first restaurant to turn this district into the liveliest one in Barcelona. Food: Along with enjoying this unique place, you can eat delicious Spanish tapas, while savoring amazing wine.